This downtown Toronto prestige residence was completed in 1989. It is a shear wall structure, with reinforced concrete flat plates, extending to a height of thirty-six storeys. 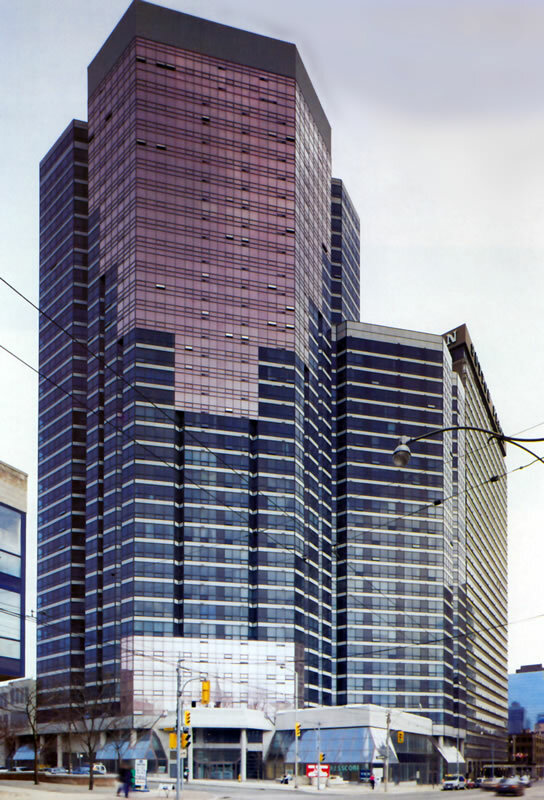 The entire superstructure is clad with a glass and marble curtain wall giving the building a unique appearance. Commercial tenancies are provided for on the ground floor, and the entire complex is constructed over a three level subgrade parking.